Isn’t it worrying how much our utility bills have risen in the last few years? Even now the utility companies are fighting to gain new customers by offering new rates. Sometimes you can actually make savings by swapping suppliers, but you can’t actually cut your usage without making real changes at home. We’ve all had it drilled into us about making sure lights are switched off, electronic devices not left on standby, and the dreaded mobile phone chargers switched off after use; just as we’re encouraged to turn the thermostat down by a degree. All of these measures, and more, do have an impact on how much energy we use, but it relies on us changing how we live. Sometimes we are too stuck in our ways, sometimes we just can’t make the change, sometimes we just don’t want to and sometimes we have made the change and just want to go further, this is where actual improvements to your home can help to save you money. Improvements to your home can help to permanently reduce your utilities expenditure, not just saving you a few pounds on a tariff now, but saving you on actual usage and ongoing costs forever. Don’t be put off by the ‘green credentials’ attached to products and improvements, or by counting the CO2 that your efforts will save. Don’t even expect it to add value to your home. Whether you are a green convert or apathetic, these improvements can save you money over time. 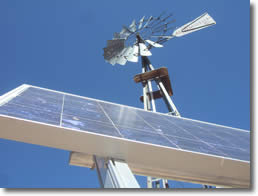 There are numerous measures available on the market from the low cost, such as Smart Meters which help you to keep an eye on your energy use, low energy lighting, cavity wall and loft insulation through to the high cost measures such as replacing your boiler with a modern, more efficient, one or even to go to renewable technologies, like solar panels. And these measures don’t have to be expensive, in many cases the improvement is subject to being subsidised or even free under a grant system, depending on your circumstances. Some measures, such as loft and cavity wall insulation, don’t even need maintaining, once they are in, they are in and they are saving you money year upon year. For those with more income and resources there are other improvements that can be paid for which will return on investment over a much longer period, but even these will make savings. So the question really is this. Do you want to spend your life running from utility supplier to utility supplier, trying to get a slightly better tariff and rate to reduce your energy bills, or do you want to make some changes now that could actually cut the amount of energy that you use for good and save money permanently? Does that sound like a waste of time to you? Great post, measures like solid wall insulation, right down to turning the light off are great for both your wallet and the environment, something which most people don’t seem to understand, even if you think global warming is a “hoax”, surely you’d like to save some money too? If building a new house, don’t forget about the shape of the building. More energy effective shapes are usually also less expensive. Yes, definitely i agree with your points. Spending money and time on energy efficient home improvements may look unnecessary . But once done and when you started enjoying the comfort and savings you will know how essential it is. Also it is more of environmental friendly too. Very good post, people don’t tend to consider that even though it may cost them money to begin with, doing your part for the environment will actually save money in the long term, and who doesn’t want to do that!? I believe outside solid wall insulation is a waste of time. I have this opinion because I’ve had it done. My reason for this is because the insulation is thinner at the windows, can only go down to the damp course and stops at your neighbours if in a terraced house or semi. Because of this, the exposed bricks still remain cold in the winter so this coldness passes to the bricks next to them behind the insulation. Also, when heating your home, the heat has to warm up the plaster then through the bricks before being stopped by the insulation and returning. The government shouldnt even be bothering with it. In short, you’re best off having inside solid wall insulation so the heat makes contact straight away with the insulation and returns into the room quicker thus heating your house quicker and being kept in more effectively. Another problem is if you want to put items or fixings to your outside wall. The insulation is not strong like brick so you have to be careful what you affix to it. Any fixings have to be screwed through to the brick to hold. The insulation is only covered with a render. If you want to update your windows then the insulation causes a problem and makes it more difficult and costly.